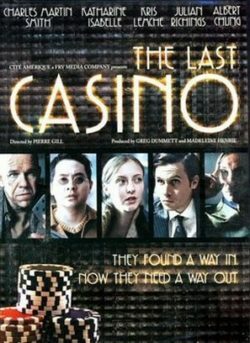 When you are binging on gambling related movies recently, I came across a film 2004 Canadian television film called “The Last Casino”, which focuses on card counting. Like the 2008 film “21”, this movie focuses on the ideas from “Bringing Down the House”, the best-selling book by Ben Mezrich. The film stars Charles Martin Smith, best known for his roles in American Graffiti (1973), Starman (1984) and The Untouchables (1987) and Katharine Isabelle, best knows for her roles as Ginger Fitzgerald in the werewolf horror films Ginger Snaps franchise. Great talent for sure though the film suffers on a TV budget. Official Premise: A University teacher finds three bright students and decides to teach them how to count cards to make lots of money. As they learn how to play the casinos, things get tricky when the debt owing teacher informs them that their front man wants restitution for loses in about a weeks time. The three students decide to hit all the major casinos in Ontario and Quebec until discovered. If you are like me and on your phone researching a movie and its details during watching you might want to check out this interview with Semyon Dukach, who was the ring leader of the MIT card counting team which this film is based on. Definitely an interesting read. So I am glad I came across this movie, this is not something that would have been widely available in my area. It’s not perfect but when you are in the mood for some sneaky card counting it will do the trick! If you are at Foxy Casino and wondering how to figure out all the exciting features of the website you do not have to worry. Foxy Casino’s website is smooth and you can easily navigate through all the sections of the casino with ease. The moment you enter our casino’s website, first thing, you will notice is the various categories of gaming that will engage and entertain you. The categories include slots, table games and live dealer games. You can pick from the attractive themed five reels slot games or pick the most played table game Blackjack and many others depending on your gaming preference. If you are bored with the usual virtual table games with the same old interface and design then you can try our live dealer games for a change. The live dealer games offer more than entertainment and excitement, the live casino is a good experience. A smart croupier, who is ready to interact and place bets and will assist you according to your commands, if you are somebody who loves spinning the reels of a slot game, you can try all our slot games that are specially designed by specialised gaming providers. We have a good collection of all the table games. You can choose to try your luck on our selection of games such as Roulette, Blackjack and Baccarat in various variants. Do try them, win some good rewards, and enjoy the magnificent gameplay. Foxy Casino’s is impressive when it comes to the promotions. Right from the start, the casino aims at rewarding the players impressively, firstly you get a 200% welcome bonus on a deposit of up to £200 along with 350 free spins. Then you have Wednesday Spins, Power Hours, Game of the Week, The Sunday Tournament and other exciting promotions that can cheer you up. Our casino holds a valid license from the UK Gambling Commission and the Government of Gibraltar. There are other certifications such as 18+, GamCare and Gambleaware. We offer a safe gambling environment for those who play at our casino. 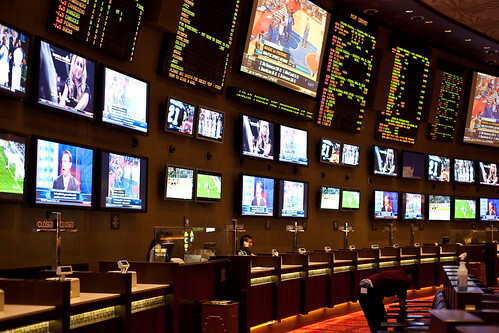 The customer support assists the players through telephone or email by providing them solutions on the gambling or casino-related queries. The response from the customer support team is quick and responsive. You find many casinos online that offer the best gaming experience to the players. Only a few mobile casino sites in the UK offer games as well as attractive promotions and the best wagering, live dealer games, and a friendly customer service. You can choose to play in any of the mobile casino sites and win fantastic welcome bonuses. 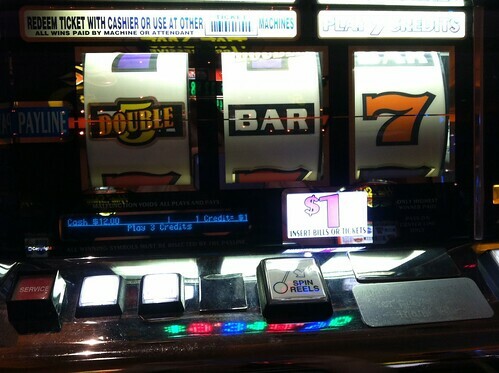 This casino is a mixture of many good features. It offers players a smooth gaming experience with its diverse and plentiful slot games, casino games and mobile games. You can choose to play the games on a mobile device or a desktop depending on your own choice. It is a reliable Mobile casino mainly because of its adaptability and compatibility with mobile phones and it has a fun-filled set of games and promotions. First up is the UK’s most prominent and reliable online casino- Vegas Mobile Casino. It is a great place to play your favourite casino games, scratch cards and slot games. There are good attractive promotions offered in this casino and they mainly include no deposit bonuses, free spins and welcome bonus offers. Apart from the games and promotions, you can find this casino a safe place as it believes in responsible gaming. This is another amazing online casino with a set of fantastic promotions and a good set of online slots, casino games and scratch cards. Some of the amazing set of slot games includes Cleopatra, Motorhead, Wish upon a Jackpot, Dragon Born and a few others. Apart from having good slot games, you have the popular Blackjack, Baccarat and Roulette games offered for your entertainment. The best mobile casino sites in the UK will have the right set of games and promotions. Some of the renowned and popular mobile casino sites include Jackpot Mobile Casino, Vegas Mobile Casino and Mr Mobi Casino. You can join any of these mobile casino sites and get amazing welcome bonus offers. What are you waiting for then? Join these casinos now and start playing the games now! The movie features a young Matt Damon, in one of his best roles ever, and Edward Norton as two friends who are addicted to gambling. Damon plays a youngster who excels at poker and uses this skill in order to pay off the loan sharks and help his friend in the process. It may not be a big budget film, but it has all the essentials for a slick poker inspiration. A classic casino-themed movie, it features Robert De Niro as a Las Vegas mobster who is involved in the world of casinos. Yet, he tries to go about his business in a respectable way while his mobster friend is overtaken by greed. The movie was directed by Martin Scorsese, widely regarded as one of the best directors. The film goes into several details of owning and running a casino in its 178-minute runtime. A recent entrant in the world of casino themed movies, 21 is a story of MIT students being coached by their professor – played by Kevin Spacey – in order to win big at Las Vegas casinos. The students set off to Las Vegas and use card counting technique to amass huge sums of money before being eventually caught. The 123-minute runtime will reveal if there is a happy ending or not. A star cast featuring Brad Pitt, George Clooney, Matt Damon, Julia Roberts, and many others, decide to rob Las Vegas casinos. The film gives an incredible insight into the behind-the-scenes action at a super casino, like those found in Australia and featured at https://pokiestar.com/online-casino-in-australia/. Directed by Steven Soderbergh, the movie is not about robbing just one, but three Las Vegas casinos. One of the first James Bond movies to heavily feature casino games, Casino Royale sees the debut of Daniel Craig as James Bond. His mission is to beat a top weapons dealer in a high-stakes game. The movie is set in Monaco, which has some of the oldest and most popular casinos in the world. Eva Green plays the love interest for Bond in the movie, which takes focus away from technology and moves it to Bond himself. A British crime movie, the plot follows a youngster who is indebted to the powerful crime lord to the tune of £500,000. The huge debt is created as a result of a fixed card game. In order to pay off this debt, the youngster goes on about every possible option and there is a huge amount of killing along the way. Directed by Guy Ritchie, the movie also features young Jason Statham. A movie about gambling addiction, this Canadian film features Phillips Seymour Hoffman and John Hurt. A bank employee and gambling addiction certainly do not go along well. Large number of bank money being skimmed to fuel the gambling addiction results in everything falling apart. 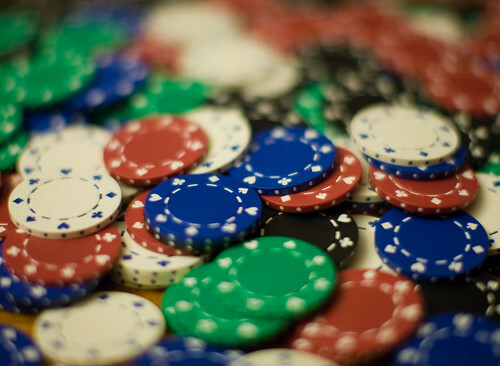 Just like a stack of cards, the movie shows gambling addiction destroying a life. The movie was directed by Richard Kwietniowski. Starring Mel Gibson and Jodie Foster, Maverick is a movie about a young poker player trying to come up with a huge amount of money in order to enter a major poker tournament. Numerous challenges and comic mishaps happen along the way. The movie was directed by Richard Donner with Jodie Foster playing the love interest of Gibson, and someone who is also a gambler. This movie depicts the equivalent of a David versus Goliath contest, but in the world of poker. A young and upcoming poker player is pitted against one of the best in the business. Directed by Norman Jewison, the movie features some of the best-known stars of the time like Steve McQueen and Edward G. Robinson. A high-stakes poker game forms the fulcrum of the movie. Depicting the life of a literature professor who has become addicted to gambling, this movie shows some of the pitfalls of becoming addicted to gambling. Even after going through various stages of losing money, the lead character – played by James Caan – cannot stop gambling. Rock’s Ultimate Super group Kings of Chaos made a rare appearance in the Upstate New York area on December 22 where they performed for an intimate crowd within the Turning Stone Casino. The group consisting of Matt Sorum, Chester Bennington, Robin Zander, Billy Duffy, Robert DeLeo, Steve Stevens and Billy Gibbons performed a variety of hits from each of the member’s careers making for a unique concert experience. Opening up the night was Apocalyptica front man Franky Perez who along with his solo band performed a blend of rock infused blues that helped set the tone for the night. Though the crowd was a bit slow to respond Perez and company forged on and by the end of their forty minute set had the crowd primed and ready for the night’s headliner. After a minimal set change the night’s headliner hit the stage running as they launched into Stone Temple Pilots “Vasoline”. With Linkin Park/STP vocalist Chester Bennington at the helm the band also performed Billy Idol’s “White Wedding” and The Cult’s “Fire Woman”. Bennington would then make way for Rock and Roll Hall of Famer Robin Zander to perform a handful of Cheap Trick songs which were then followed by a few ZZ Top songs song by none other than the one and only Billy Gibbons who’s gravelly voice permeated every nook and cranny of the venue. Zander, Bennington and Gibbons would alternate in the lead vocalist spot throughout the night as they performed hit after hit from each of the members groups culminating with all of the members performing at the end of the night on “Beer Drinkers & Hell Raisers”, “Going Down” and the Led Zeppelin classic “Whole Lotta love”. Though the nights set was absent of any Linkin Park or Guns N’ Roses numbers there certainly was still a solid mixture of songs pulled from the members impressive back catalogs. Each player looked to be performing at their best making it very hard to pick out one performance over another. Everyone definitely brought their A game and appeared to be working very well together despite minimal interactions with one another. Getting to see just one of the members in this group let alone seven is sure to bring a nights worth of entertainment but when the Kings of Chaos are all together in one spot it truly is a special occasion and one you won’t want to miss. Have you ever seen the 1995 film Casino? If you haven’t, it’s definitely a must see for any film buff. Actually, anyone at all will love this movie. And that is why it is listed on the top 25 movies of all time on IMDb. Nicholas Pileggi and Martin Scorsese worked together to write this film, and Martin Scorsese directed it himself. These two very talented individuals also worked together on the film Goodfellas from 1990. Both of the films are based around the mafia and Italian culture. The movie Casino has some of the best known actors and actresses from Hollywood. The leading role is played by Robert De Niro, who seems to be in all of the movies that we see. He has had starring roles in such great movies as the King of Comedy from 1983, Raging Bull from 1980, New York New York from 1977, Mean Streets from 1973, Cape Fear from 1991 and Taxi Driver from 1976. The movie also stars Sharon Stone and Joe Pesci. Sharon Stone is well known for her role in Basic instinct, and Joe Pesci plays in many other Italian mafia movies also. The movie begins and ends up revolving around Robert De Niro’s character, an associate of the mafia. He is being sent to the casino capital of the world in Las Vegas to run a casino there. His name is Sam or Ace Rothestein. The casino features many different games, and it is so utterly realistic. In fact, it was a real casino when the movie was shot, but it got dressed up, and of course no one was actually there gambling in it for real while the movie was being filmed. Instead, actors and extras were called in to be seen in the casino playing slots, blackjack or games that would not be the equivalent to online roulette games. If the movie inspired you to some action, you too can enjoy online casino games, without leaving the comfort your house! This is a relatively old film, and it is a classic, so it’s not that hard to watch nowadays if you want to. Many websites and classic movie channels will play this film from time to time. One thing to look for when you’re watching is the costumes that Robert Nero’s character has on. He has multiple suits, and as the film progresses, his suits get more and more elaborate. This is a great movie to watch with a friend, a significant other or by yourself for something fun to do on a rainy day. Engelbert Humperdinck has been entertaining for 45 years and shows no signs of slowing down. While watching his perform, he just looks like he is having the time of his life during every song. He never stops strutting his stuff and dancing throughout the show. He also not only engages his fans with amazing stories in between but he even invites them up on the stage. For a man that is 75 years old, he acts half his age and puts to shame many of our current performers that have forgotten what is it like to perform live. Overall he just has this wonderful stage presence and it comes through with his fans and through this music. I wasn’t able to personally attend this show but thanks to the wonders of the internet, I was able to be their watching it live from the comfort of my home. Thanks to Front and Center for setting up this fantastic streaming concert. The concert played perfectly without a hitch and did not encounter any streaming issues. It wasn’t just one boring camera angle either. There was numerous cameras constantly changing covering the whole stage. The sound quality was also very impressive, especially for streaming internet. The concert ran from about 90 minutes and he really covered all of his classics. In this show he covers classics like “Quando, Quando, Quando”, “The Last Waltz” and “Release Me”. I also really enjoyed his new song for Eurovision 2012 and also currently #1 on the charts in the UK, “Love Will Set You Free”. Engelbert even covers classics like “Somewhere Over The Rainbow” and Bryan Adams’ “When You Love a Woman” along with his great guitarist Yohan Frank. What I like most about hearing him life is that he sounds exactly like he does on the album. Engelbert’s voice just sounds fantastic and he is not afraid to belt out some big notes. Engelbert is one of the last great entertainers and he puts on what a great show. I also really enjoyed his video clips including a funny comedy act from Eddie Izzard and a rare performance with Engelbert and Dean Martin. I have never had the privilege of seeing Engelbert in person, which I hope will change very soon. You here that Engelbert…come to the Orlando FL area soon! !